Guybro Chemical parent company was established in 1989, with a vision towards Empowering Life & well being & has rapidly emerged as the premier integrated Veterinary Company in India. Business focuses on the manufacturing and marketing of Poultry & Aquaculture feed supplement & Disinfectant range of products with quality services to clients across the country & globe. Its product & service portfolio includes a range of, Nutraceuticals , Antibiotics , Branded Ethical Formulations and Contract Manufacturing Services. The company’s core competency is in providing quality products to serve the veterinary & aquaculture needs of the industry to ensure that we offer the highest quality of products & Services. Over the years, Guybro Chemical has established a global footprint in fulfilling the requirements of clients across more than 11 countries. At Guybro Chemical, Dr. C S Bedi says..” if we take care of the present, we inspire a better future”. It is his vision towards a disease-free world for animals, a sustainable natural environment and a healthy global population through 100% biodegradable products with no residue or resistance for neither Animal nor consumer, which reinstates our unparallel support to our commitment and ensuring the highest quality of products and services to our Veterinary clients, and in large the community. Guybro Chemical is an ISO 9001-2008, GMP certified organization with four state-of-the-art manufacturing unit with own Warehouses strategically located at key pockets all over the Nation & Internationally with key clients in its kitty. To provide a disease-free world for animals, a sustainable natural environment and a healthy global population, through 100% biodegradable products with no residue or resistance for neither Animal nor consumer, which reinstates our unparalleled support to our commitment and ensuring the highest quality of products and services to our Veterinary clients, and in large the community. To develop and successfully market innovative products and provide quality services that exceed the expectations of our esteemed customers. It is a long established fact that a reader will be distracted by the readable content of a page when looking at its layout. Dr. Bedi is a BVSc graduate and holds a Marketing degree. 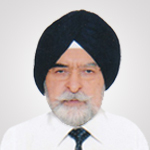 He has been associated with companies like M.J Pharma and Pfizer. He is the only Veterinarian with an ISO certification in India. He is passionate about animal health and has developed all the products at Guybro single-handedly. His experience in this industry is for more than 50 years. 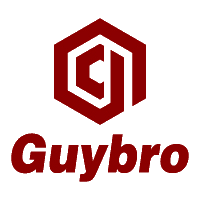 Gaurav Bedi is heading the operations of Guybro since 2001. His contribution towards developing Guybro in the global market is immense. He is zealous about the company’s growth and expansion. 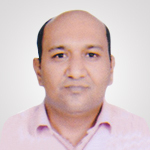 Gautam Bedi holds CFP degree from Canada and has an experience of 10 years in the Financial sector. 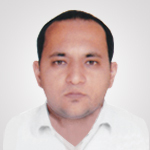 He is currently handling our Production Units and ensures the quality of our products.